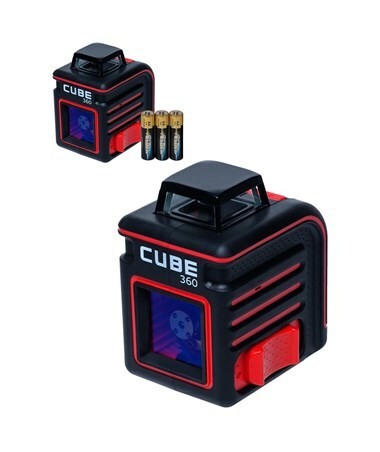 The AdirPro CUBE 360 laser is a cross line laser that has a pendulum level. 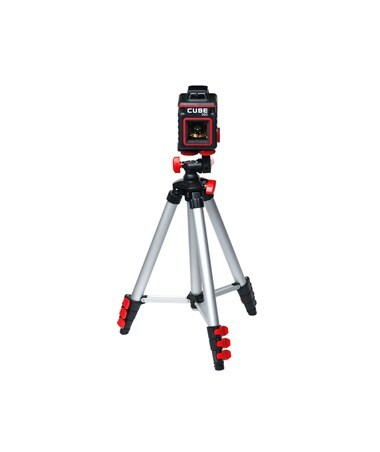 This unit is self-leveling with a vertical accuracy range of within 4 degrees. 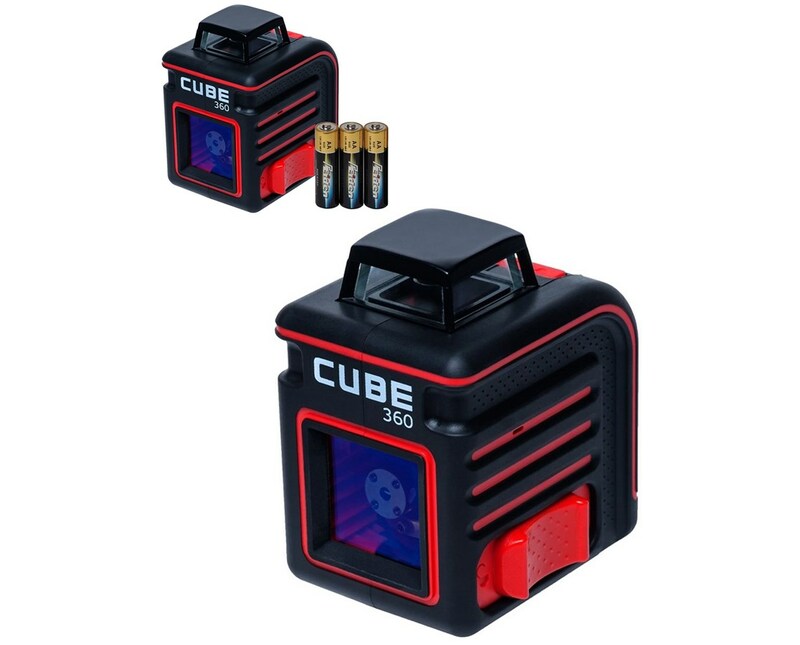 Depending on the work area’s illumination, the working range of this laser is up to 230 feet with a receiver, and 66 feet without a receiver. The two separate line beams are generated from 635-670nm laser diodes. The line beams have an accuracy of ±1/8 inch at 30 feet (±3mm at 10m). 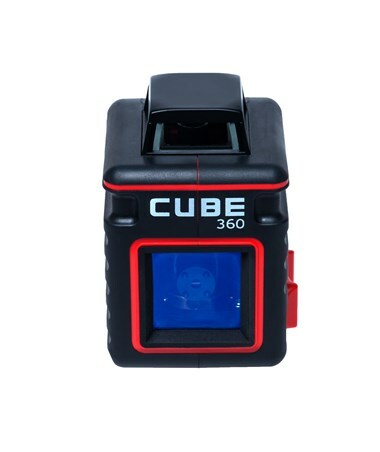 The CUBE 360 has a quick pendulum self-leveling system. Both laser beams are leveled through the same pendulum. 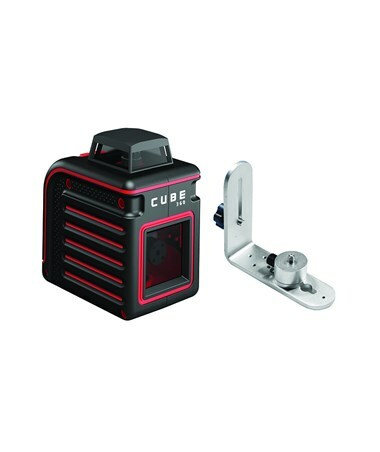 Additionally, there is locking system to ensure that the compensator does not shift during transportation due to vibrations. 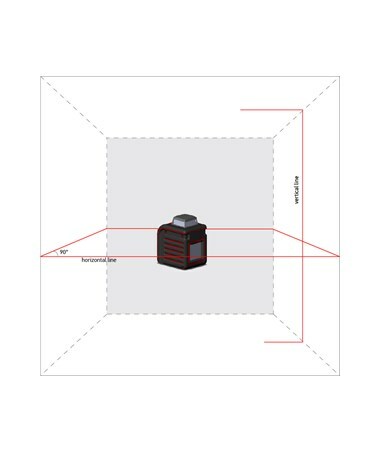 The switch has 3 settings. The first is when the unit is on and the leveling system is unlocked (this allows it to level automatically). The second is when the unit is on and the leveling system is locked (it will not level automatically). The third is when the unit is off and the leveling system is locked. 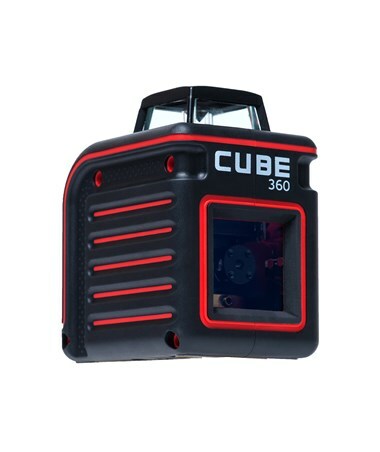 The CUBE 360 comes with a set of AA batteries and an instructions manual. 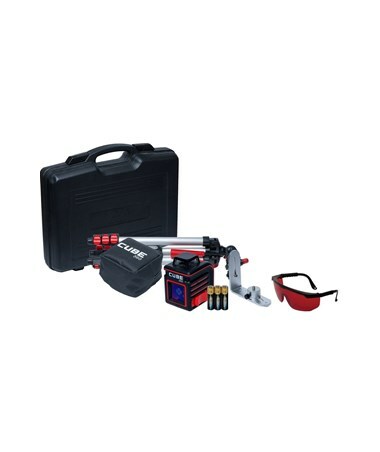 When you purchase the Ultimate Edition you get the batteries and instructions manual in addition to a soft case (for the actual laser unit), mount, a telescoping tripod (up to 3' high), laser glasses, and an orange hard plastic case (for the entire kit).